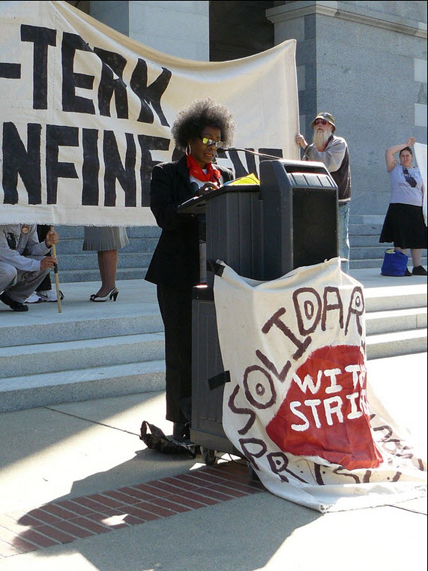 Sacramento – A rare joint session of the California Senate and Assembly Public Safety Committees held this afternoon to address demands made by prisoners during this summer’s massive hunger strike has just ended. 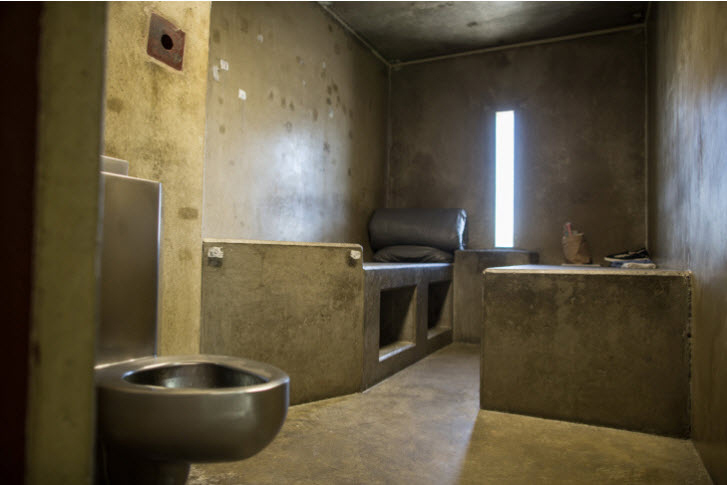 California’s use of indefinite solitary confinement and the devastating physical, mental and public health impacts of the notorious practice was at the center of today’s three hour hearing. The hearing was preceded by a lively rally of 100 people, made up mostly of prisoners’ loved ones, who demanded an end to solitary confinement. The crowd then filled the hearing room where panels of experts gave sometimes emotional testimony on the internationally condemned practice. Impassioned public comment continues at the time of this release. The California Department of Corrections and Rehabilitation (CDCR) continued to defend its practices during the hearing. Billed as an informational hearing, these “frank, public discussions will lead to legislation,” Sen. Loni Hancock pledged. Calling conditions in solitary “beyond the pale,” Assemblymember Tom Ammiano said bluntly that he didn’t want “lip service” from the CDCR. Giving often meandering answers to direct questions, the CDCR admitted directly that action was taken against prisoners who participated in the peaceful hunger strike protest. After hearing testimony from expert panelists including the ACLU, legal scholars, prisoners’ loved ones and former prisoners, legislators were particularly interested in the astounding number of people being held in solitary in California, the length of time people are being held there, as well as clear pathways other states have taken to reduce or eliminate their use of solitary confinement. “We are glad to take the opportunity to educate the Public Safety Committee on the human rights violations happening in California’s solitary confinement cells. We are thankful that the committee understands the gravity of this issue and the legitimacy of the hunger strikers’ demands,” said Dolores Canales of California Families to Abolish Solitary Confinement after testifying before the Committee on the conditions faced by her son in solitary confinement. Today’s hearing is the first of a series of legislative hearings on solitary confinement in California prisons. They were promised by Senate and Assembly Public Safety Committee Chairs Hancock and Ammiano in response to the largest prison hunger strike in U.S. history after the governor failed to negotiate the prisoners’ demands. News of the planned hearings led prisoners to suspend their strike on Sept. 5. During their 60-day hunger strike, California prisoners brought the issue of solitary confinement to the attention of the world and garnered an unprecedented level of support for their cause. At its peak, 30,000 prisoners were on strike, demanding an end to indefinite solitary confinement, fundamental changes in the draconian policies used to keep prisoners in solitary and an end to collective punishment. “During the hearing, lawmakers questioned the humanity and utility of prolonged use of locked-down isolation cells to quell prison gang activity,” KPCC reports. “’I wonder if there’s been any reduction in gang membership as a result of putting so many people in SHU,’ Assemblywoman Nancy Skinner said to officials from the California Department of Corrections and Rehabilitation. “’I don’t know that that’s the case at all,’ said CDCR Deputy Director Michael Stainer. Stainer said CDCR lacked the resources to keep real data that would track the results of policies like the SHU. “Stainer also said it’s too early to tell whether a policy change that’s granted the release of about 343 SHU inmates to the general prison population so far has had any negative effects on prison safety. “’We need this informational gathering system to judge whether or not these policies are effective,’ Stainer said. “Stainer estimated housing an inmate in a SHU costs about $15,000-$20,000 more per year than housing an inmate in a high-security general population yard. “Lawmakers also questioned prison officials about conditions inside the SHUs – whether inmate complaints about food are justified, whether inmates are allotted visitations and whether mentally-ill inmates can participate in group therapy sessions. “CDCR Deputy Director Kelly Harrington explained that inmates participate in group therapy while in individual, cage-like ‘treatment modules.’ Similarly, SHU inmates in some prisons, like Corcoran, exercise in outdoor cages. Isaac Ontiveros and Azadeh Zohrabi are spokespersons for the Prisoner Hunger Strike Solidarity coalition. Ontiveros can be reached at (510) 444-0484 or isaac@criticalresistance.org. Bay View staff contributed to this report.